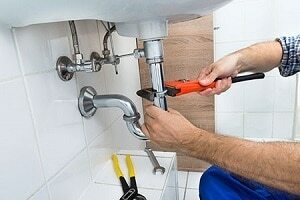 What problem do you need the plumber to fix? Which area do you need the problem fixed? What fittings does the plumber need to work on? Do you have the plumbing fittings, parts & materials? Are you looking for your house renovation good plumber services in Kenya? Do you also need an affordable price with high-quality services? Then you are at the right place. Famio plumbing solution brings straight to you the expertise you are looking for at the most competitive rate. Whether you need help with a water leaking problem, an issue with water heater system, or installation and maintenance of piping, plumbing & drainage, installation in Nairobi or out of Nairobi, we got it. Our Experienced plumbers in Kenya are waiting for your request. Just tell us what you need by filling the form. You can also contact us directly and we’ll be happy to assist you. Famio plumbing solution is the best choice for all your plumbing services needs in Kenya. Quality, reliability, cost-effectiveness and 100% satisfaction guarantee for all your home care services. We are here to help you optimize costs, improve efficiency and reduce risks for your projects.